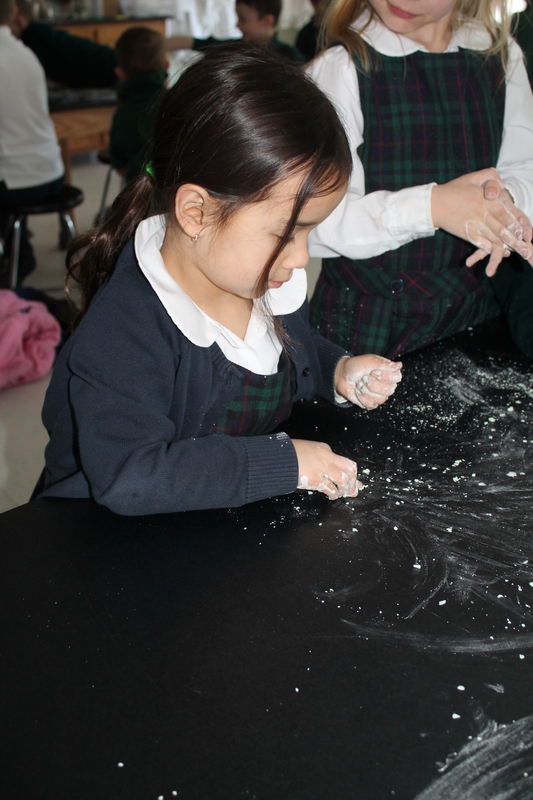 Kindergarten had a blast in the science lab today mixing a little science with a little ELA. Before the lab began, the teachers read the Caldecott winner Bartholomew and the Oobleck, a Dr. Seuss classic about a king’s magical mishap. 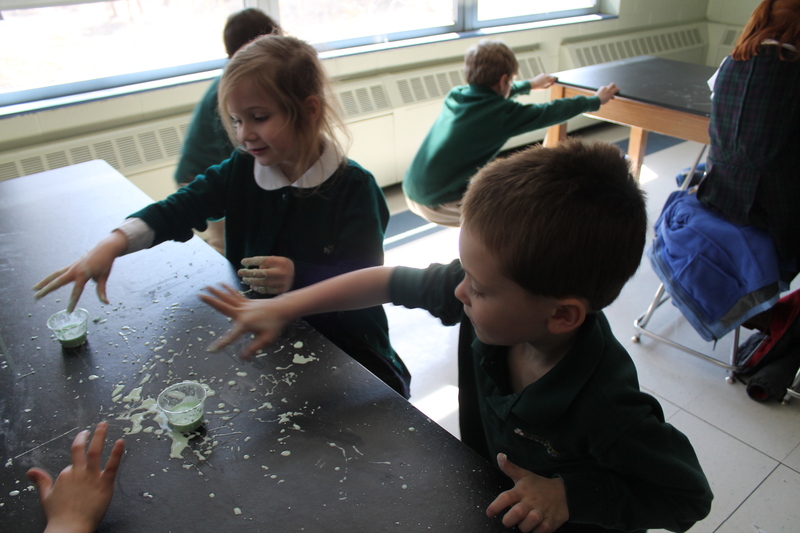 During the story, it begins to rain oobleck, which is green and soft and is made from green dye, water and corn starch. 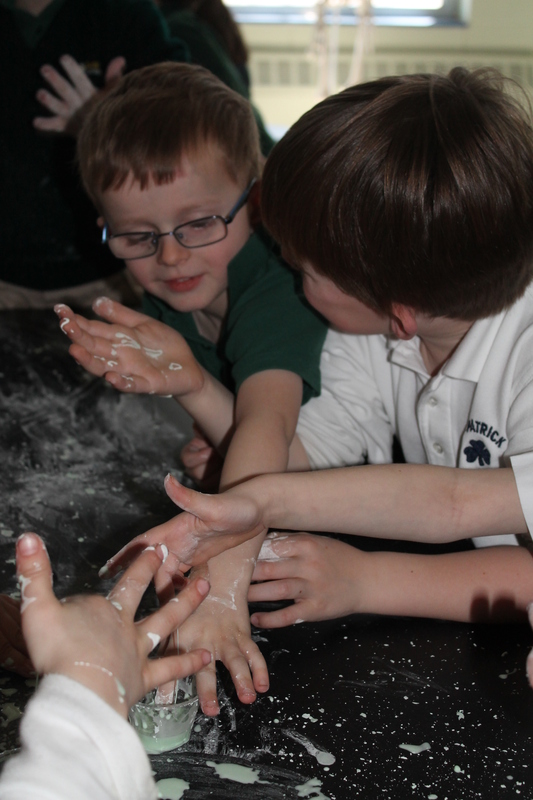 During the rain storm, the oobleck became stuck in the trumpet and the bell, among other things and it was a mess! 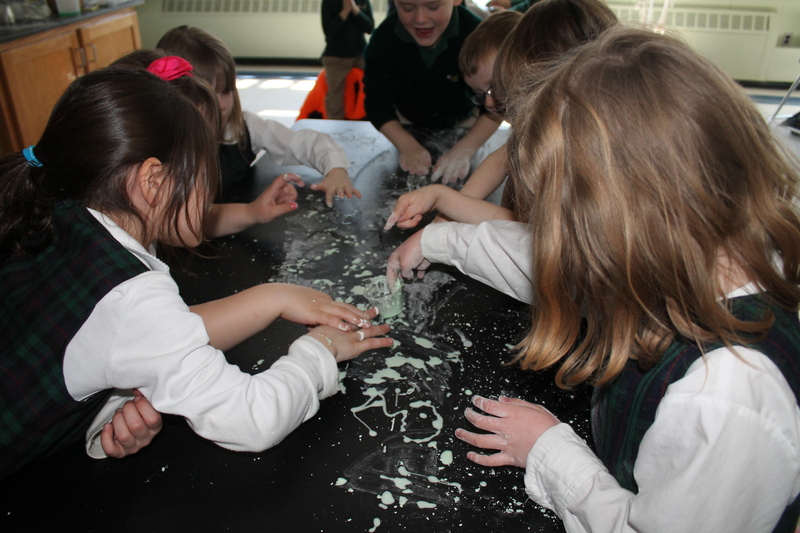 Kindergarten had a blast making their own oobleck. Ty said that the best part was putting his hands in it. 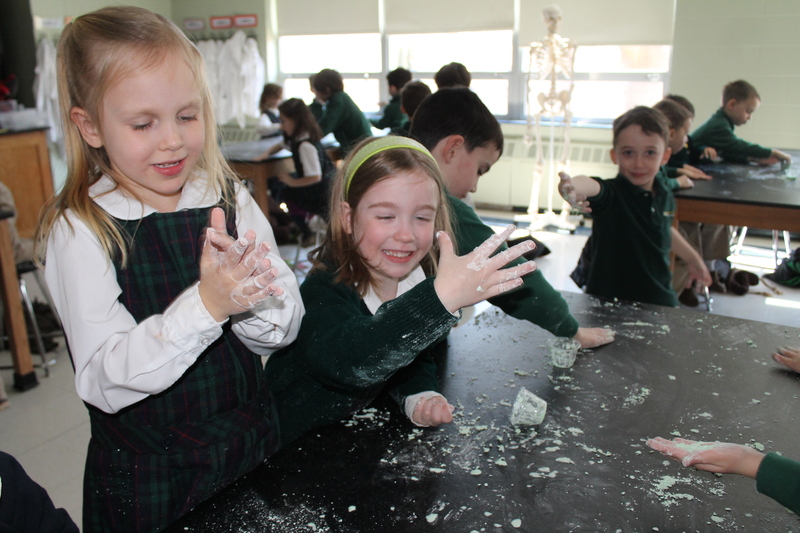 Reilly Jo said her favorite part was getting the oobleck all over her hands – and then cleaning them up! 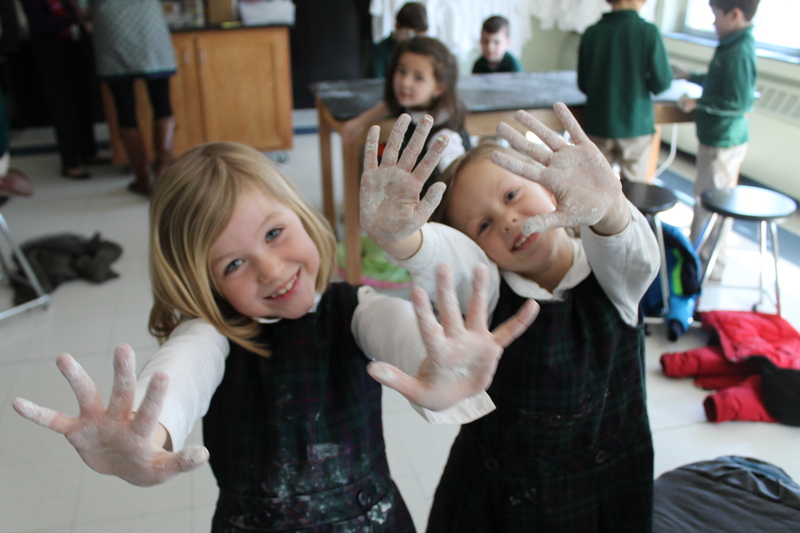 Great job, Kindergarten! Go Warriors!